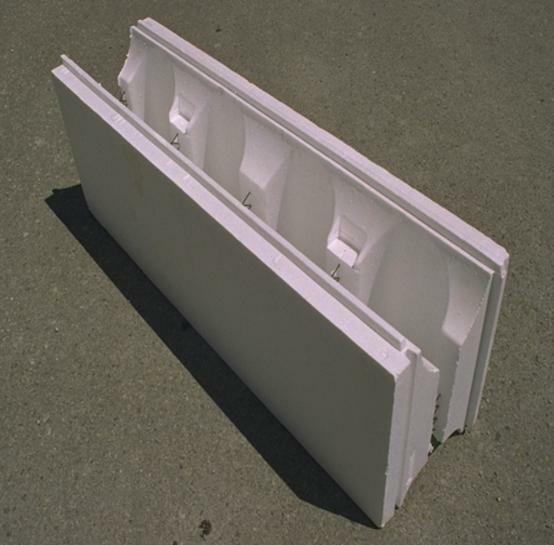 Since 1989, the Consulwal™ product has been manufactured and marketed as a One-Step Wall Forming and Insulating System. This system was developed in 1964 and has since been widely used in North America and Europe. The quality of the Consulwal™ product has been greatly improved upon to produce an even better product for today’s aggressive building industry. Consulwal™ is a light weight, high strength, permanent in-place concrete form that is less labor intensive than either concrete wall forming or block construction. Consulwal™ concrete insulated walls require up to 25% less concrete and produce concrete up to 50% stronger. Each Consulwal™ unit is 4 ft. long by 16” high and either 9 ¼“, 11 ¼”, or 13 ¼” wide, depending upon whether a 4”, 6”, or 8”. thick wall is being formed. Each Consulwal™ unit weighs approximately 5 lbs. instead of up to about 228 lbs. for 6 standard, 8 in. concrete blocks.